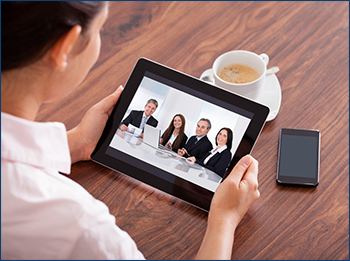 Zoom is the next generation of online video conferencing at CWRU. With Zoom, users experience cloud video conferencing, online meetings, group messaging and a software-defined conference room solution in one, easy-to-use platform. Zoom allows the university community to host and join unlimited video conferences and calls from computers and mobile devices, offering the best video, audio and wireless screen-sharing experience across Windows, Mac, Linux, Chrome OS, iOS, Android, Blackberry, Zoom Rooms and H.323/SIP room systems.